Loraine Leeson is a visual artist and director of the arts charity cSPACE, specialising in community-based practice. 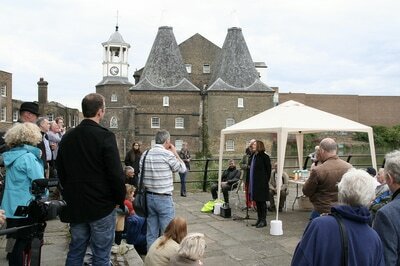 The Active Energy at Three Mills project is led by artist Loraine Leeson (Mdx, Hydrocitizenship). Documentation of the process is available. ​- Several meetings with all relevant stakeholders (House Mill, Geezers, Love the Lea/Thames 21, Mdx University). Minutes of these meetings are available. During National Mills Weekend (14-15 May 2016), the Geezers worked with artist Loraine Leeson and engineer Toby Borland in front of the House Mill to construct a stream wheel for later installation in the Lower Lea. 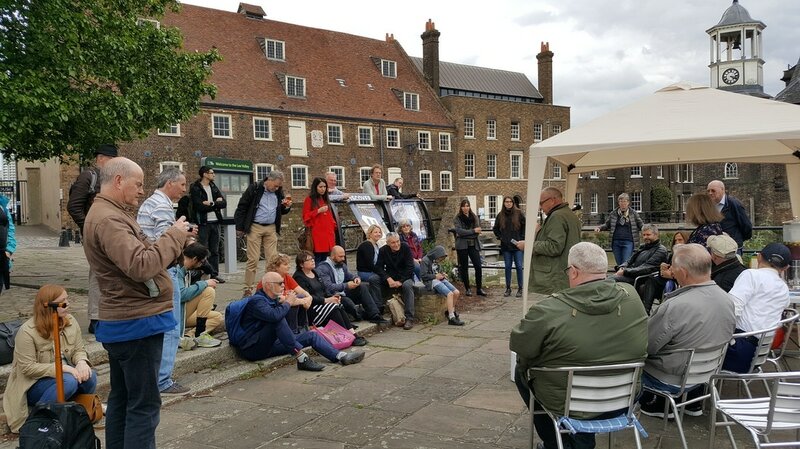 Active Energy water wheel was launched at Three Mills heritage site on the 13th of May 2017. Jane Caldwell, Chief Executive at Age UK East London made the opening address followed by artist Loraine Leeson and Toby Borland, engineer, who outlined the trajectory of the project and its importance of community input. Professor Graeme Evans, Middlesex University described the involvement of the project in Hydrocitizenship. 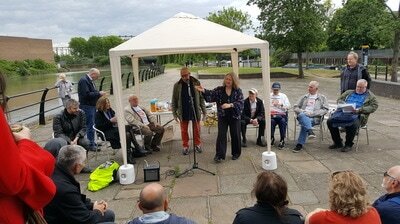 Finally, the Geezers, with Ray Gipson described their longstanding struggle to bring renewable energy in to their community and their involvement in Active Energy project.